It features a oval shape. This faucet is designed to be installed as a above counter faucet. It is constructed with brass. This faucet comes with a brass finish in Chrome color. 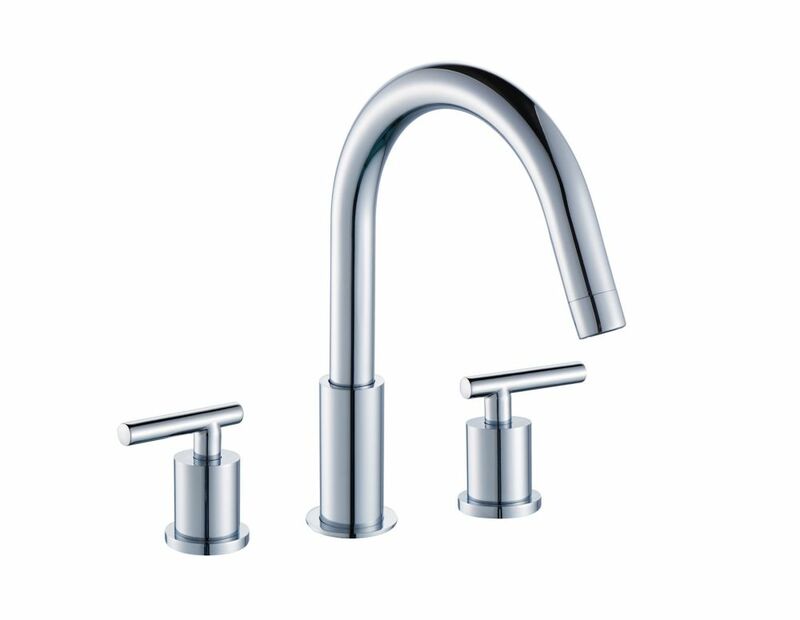 This modern faucet product is CUPC certified. It is designed for a 8-in. o.c. All mounting hardware and hot-cold waterlines are included. Two handles for ease of operation and smooth temperature control. This modern bathroom faucet belongs to the exquisite Walker design series. It features a oval shape. This bathroom faucet is designed to be installed as a above counter bathroom faucet. It is constructed with brass. This bathroom faucet comes with a brass finish in Chrome colour. This modern bathroom faucet product is CUPC certified. It is designed for a 1 hole faucet. With confident and precise use of geometric shapes, Allure Lavatory Centerset explores the pure, linear appeal of minimalist architecture to create a striking aesthetic. Starting with the simplicity of a square or rectangle, the collection utilizes geometric forms to their full potential. Allure plays host to a combination of cylinders, curves and cubes. Its unspoiled design is matched by two unique GROHE technologies: GROHE SilkMove for a lifetime of smooth operation, for unbeatable smooth performance, and GROHE StarLight finish for scratch and tarnish-resistant surfaces for a lifetime of beauty for an intense shine. It is a covetable combination of craftsmanship and pristine style - a truly alluring product. 8-inch Brass Bathroom Faucet in Chrome Colour It features a oval shape. This faucet is designed to be installed as a above counter faucet. It is constructed with brass. This faucet comes with a brass finish in Chrome color. This modern faucet product is CUPC certified. It is designed for a 8-in. o.c.